Wongalara protects over 190,000 hectares of southern Arnhem Land, and includes the largest feral herbivore-free area on mainland Australia. 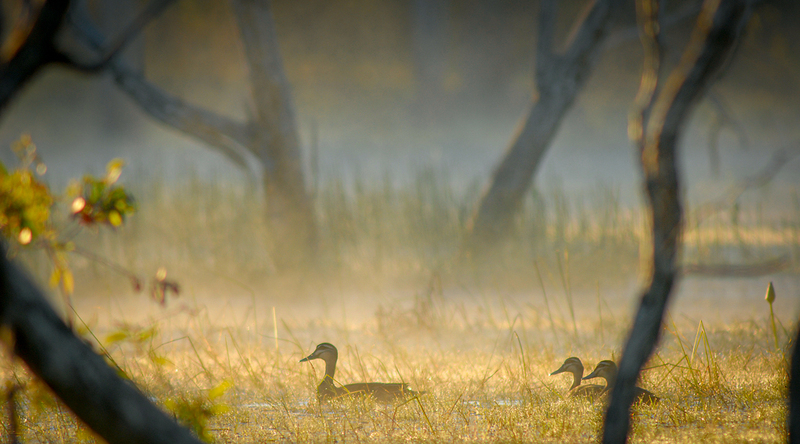 It is an important refuge for species declining elsewhere across northern Australia. 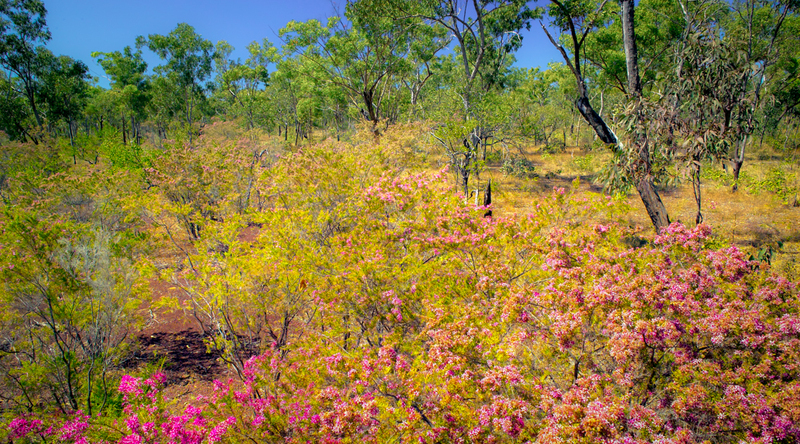 Covering over 190,000 hectares on the southern edge of Arnhem Land, Wongalara makes a vital contribution to conservation within the poorly reserved Gulf Fall and Uplands Bioregion. It contains a range of topography and a variety of landscapes supporting distinct assemblages of plants and animals. 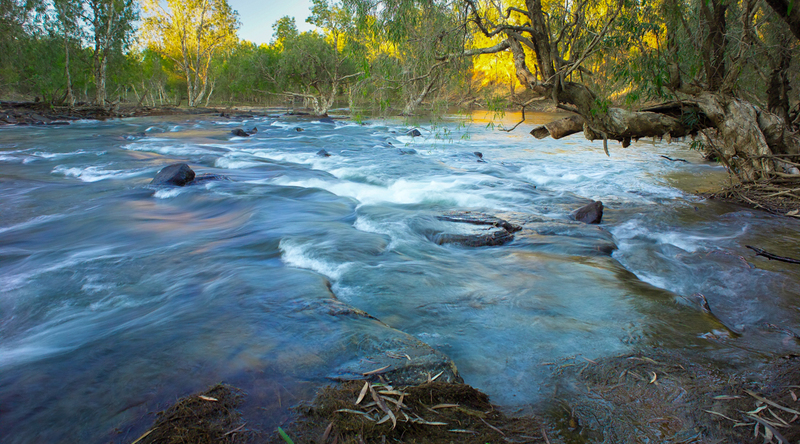 The property is dissected by the mighty Wilton River, which has carved a deep valley through the ancient sandstone. 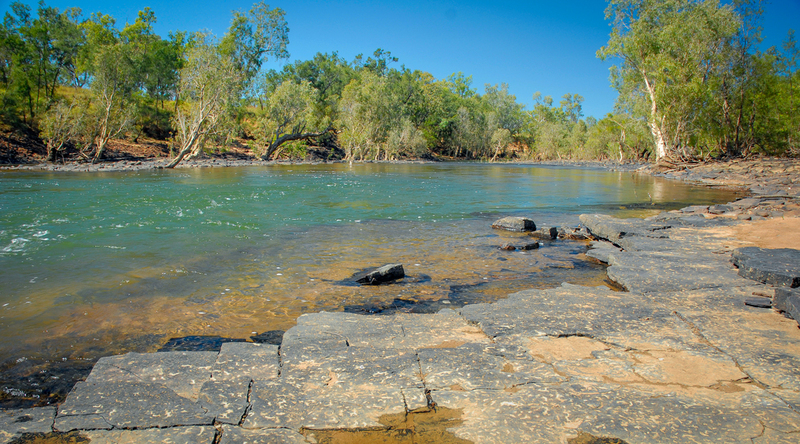 Along its path are long waterholes interspersed with tumbling rocky rapids, flanked by tall gallery forests and overlooked by rugged escarpments. During summer floods, water rises out of the valley and spreads in a continuous sheet over kilometres of the flood plain. 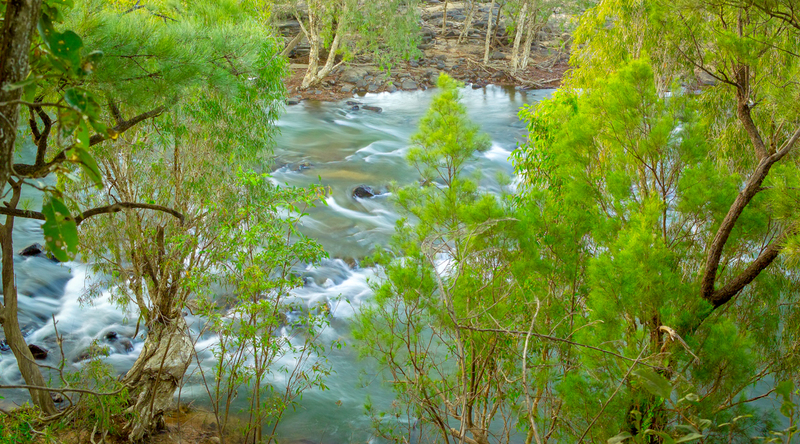 In the northern part of the sanctuary, the Mainoru River flows through numerous channels that separate and join in a braided pattern, feeding an extensive system of billabongs and forests. 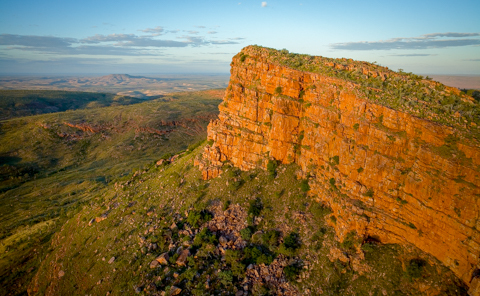 The centre of the property is dominated by a deeply dissected sandstone plateau that supports the most southerly occurrence of Arnhem Land sandstone ecosystems. 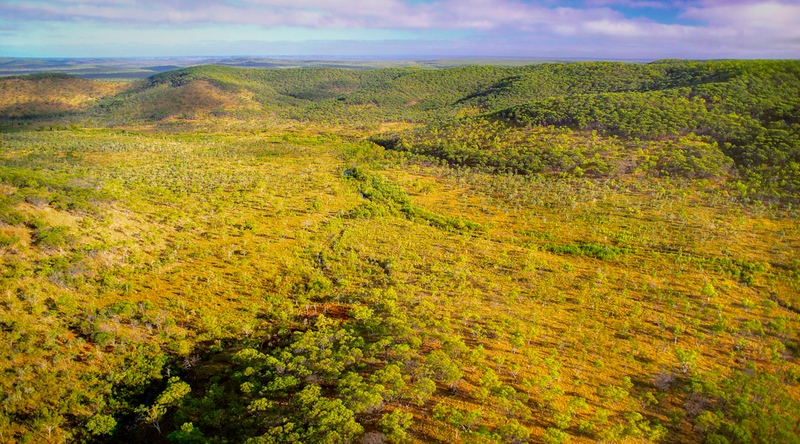 Covered in a complex pattern of open woodland communities, and supporting permanent wetlands, this plateau features the striking Mount Throsby on its western edge. Cracks and caves in the weathered sandstone provide refuge for shy rock-dwelling animals. The various ecosystems on Wongalara are in good condition and form an intricate and complex pattern, with fine-scale variation and numerous refugial habitats for its wildlife. 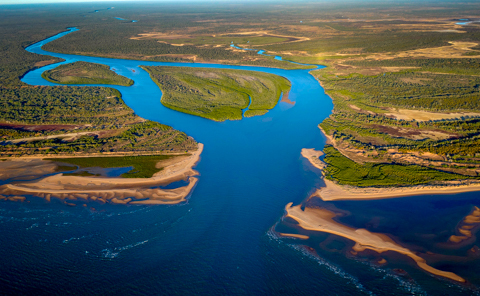 Wetlands, sandstone communities and patches of monsoon rainforest and heathland, plus blacksoil plains and alluvial flats, provide a contrast to the drier, spinifex-clad ranges and sandstone plateaus that dominate much of the sanctuary. 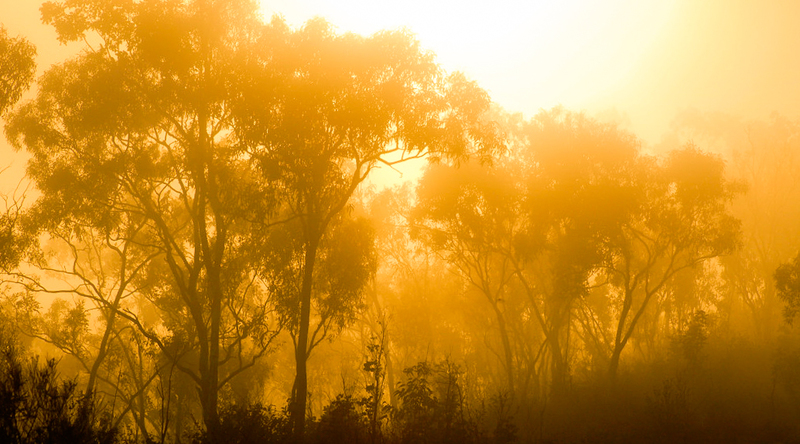 A range of soil types support diverse eucalypt and acacia-dominated woodlands. Shallow soils carry stringybark, woolybutt and acacia scrub with spinifex, annual sorghums and spear grass; whereas the valley floors carry silver box, bloodwood, ti-tree, quinine, bauhinia, coolibah and paperbarks. There are snappy gum and lancewood on escarpment edges. 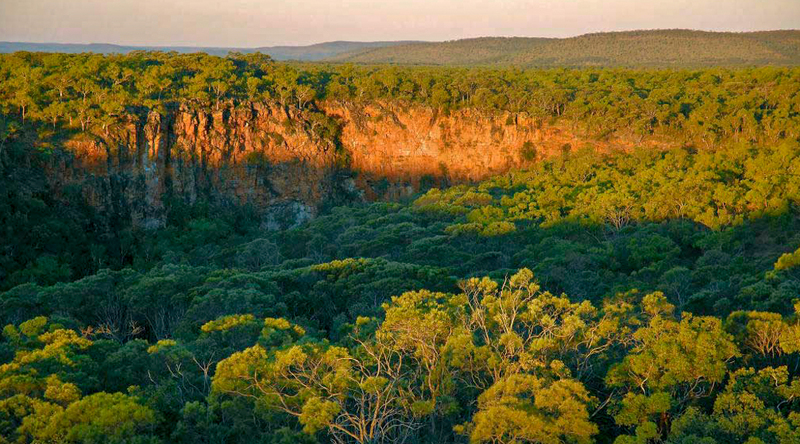 A large proportion of the ecosystems on Wongalara are either considered to be threatened with extinction or are not protected in any National Park in the Bioregion. 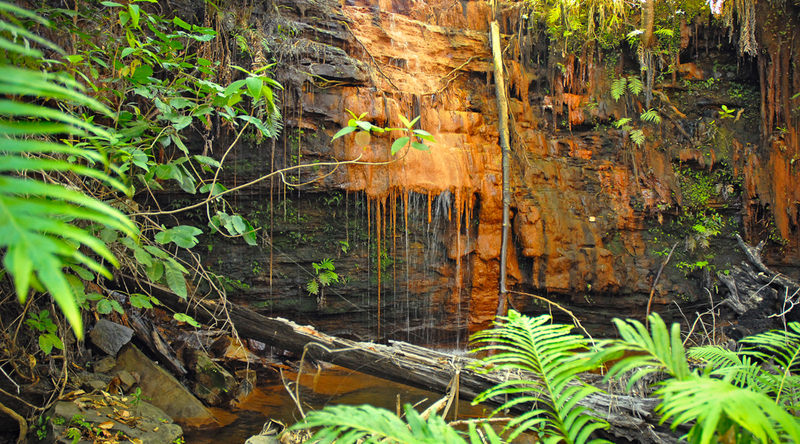 The sanctuary is expected to contain 600 – 800 plant species, including many rare and endemic plants. 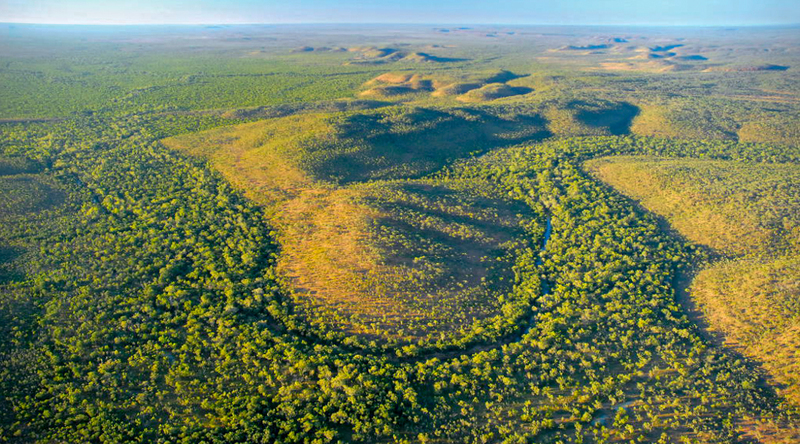 The diversity of habitats on Wongalara, and its location on the edge of Arnhem Land and the Gulf bioregions, make it a hotspot for Top End wildlife including endemic species such as the Hooded Parrot (which nests in termite mounds) and the Kakadu Dunnart. The Kakadu Dunnart record for Wongalara represents a range extension and probably a new subspecies. AWC has also undertaken an historic reintroduction of the iconic Pale Field Rat. Wongalara is home to several threatened and declining species including the colourful Gouldian Finch, the Orange Leaf-nosed Bat, the Red Goshawk, the Spectacled Hare-wallaby and the Northern Brown Bandicoot. The mammal fauna also includes a suite of macropods – Short-eared Rock-wallaby, Agile Wallaby, Northern Nailtail Wallaby, Antilopine Wallaroo and perhaps the Black Wallaroo – as well as smaller marsupials and native rodents such as the Long-tailed Planigale and Grassland Melomys. Rock Ringtail Possums haunt the rock outcrops of Wongalara’s “lost city”. 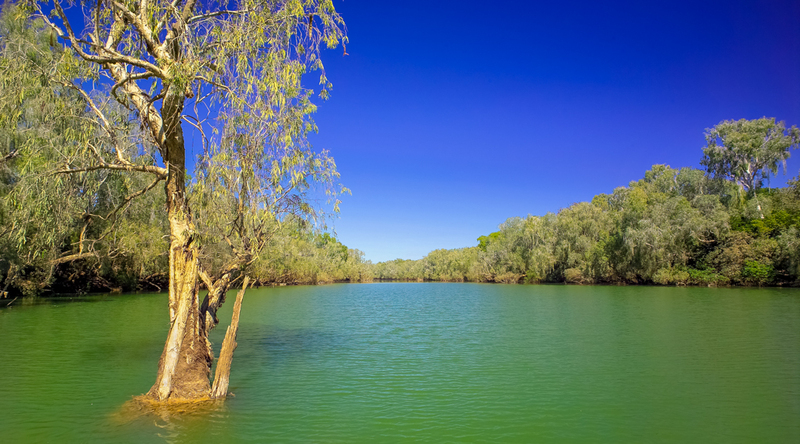 With over 55 kilometres of two major rivers – the Wilton and the Mainoru – the property is home to both Saltwater and Freshwater Crocodiles, at least one unidentified shark species (probably Bull Sharks), turtles, water rats, water monitors and a large number of freshwater fish species. 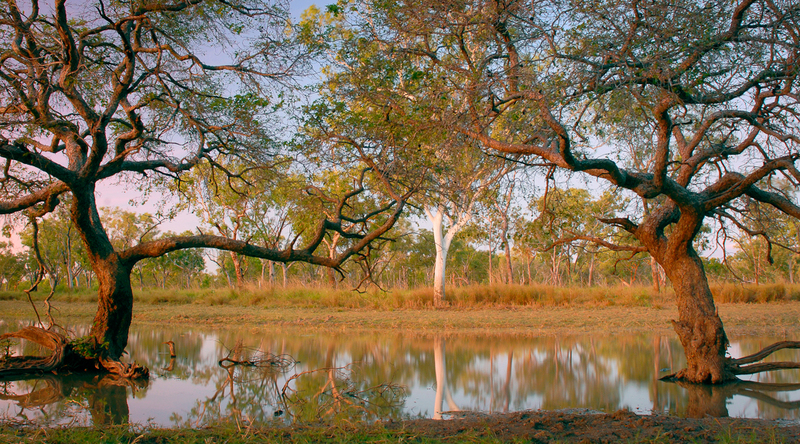 AWC’s management at Wongalara is aimed at halting and reversing the decline in wildlife that is sweeping across northern Australia, including in protected areas such as the nearby Kakadu National Park (which has suffered a 75% decline in small mammal populations in little over a decade). 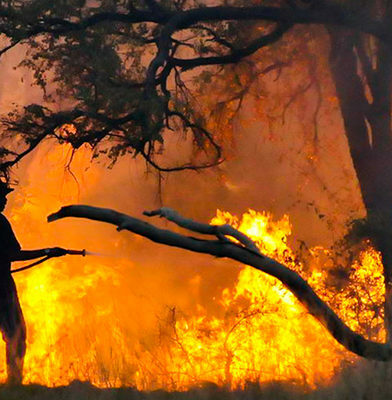 We have established the largest feral herbivore-free area on mainland Australia (1,000 square kilometres); implemented a fire management regime that has significantly reduced the impact of wildfires; and begun the process of reintroducing regionally extinct mammals such as the Pale Field Rat. 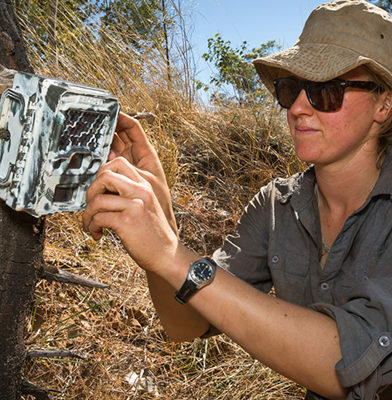 Over 4,000 live trap nights are undertaken at Wongalara each year, as well as 3,000 camera trap nights, aerial surveys for feral herbivores and almost 90 vegetation surveys. This effort measures ecological health indicators across the Sanctuary. AWC is playing a vital leadership role by demonstrating practical, science-based strategies to address declines in wildlife, and our ground-breaking initiatives at Wongalara serve as a model for the Top End-Gulf region. 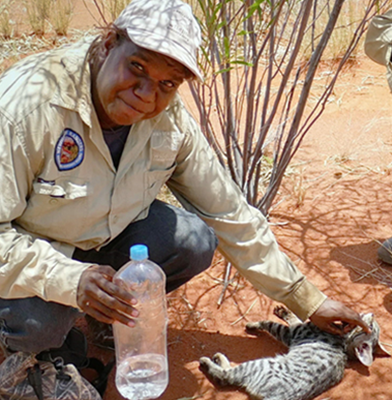 AWC constructed the first feral cat exclusion areas in northern Australia at Wongalara. These cat-free areas are playing a key role in our feral cat research program. Wongalara is also the base for a major regional weed management program, supported by the Federal Government. 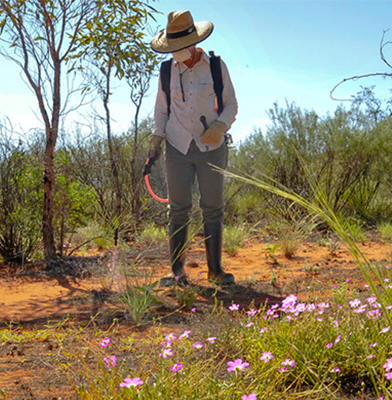 Invasive weeds are a having a major environmental impact across most of the Top End. Wongalara remains relatively weed-free, but there is high risk of invasion from neighbouring properties as they intensify their pastoral operations. Active fire management at Wongalara has delivered exceptional results, dramatically reducing the impact of wildfire: the proportion of the annual firescar on Wongalara caused by late season fires has been reduced from over 60% to around 20%, and the extent of “old growth” vegetation has been increased and dispersed more evenly across the landscape. Ongoing research and survey efforts by our field ecologists, volunteers and interns, involve censuses of indicator species such as Brown Quail, investigating the response of flora and fauna to the removal of feral herbivores (using sites inside and outside our feral herbivore free area), and investigating the impact of feral cats using cat-free fenced areas into which small native mammals have been reintroduced (this research is carried out as part of a project funded by the Australian Research Council and involves a range of partners). In 2012, AWC established the largest feral herbivore-free area on mainland Australia at Wongalara. 160 kms of fencing encloses 100,000 hectares of the sanctuary, and 1,200 feral herbivores were removed from inside the fence. A similar exclusion at Mornington-Marion Downs (the second largest in the country), has resulted in a significant increase in the population of small-medium sized mammals, and we are hoping for a similar response at Wongalara. An increase in ground cover, and the recovery of riparian habitats, should provide additional food and cover for small mammals, and an extensive monitoring regime is in place to measure any changes. Outside the fenced area, feral herbivore densities are generally low, although management is needed to control ongoing reinvasion from Arnhem Land.